The second-to-last entry in Timmy Sean’s yearlong Songs of the Week project is a bittersweet Christmas number that ranks among the series’ very best. “It Doesn’t Feel Like Christmas” tugs at the heartstrings as it tells the story of love that’s missing, which casts a pall over a person’s holiday celebration. Gorgeous vocal harmonies and a rubbery acoustic guitar line around 2:40 make this song sing. It’s quite a beautiful specimen. Timmy says: “All the way back in the mid 00’s, my old bandmate in LUZER, Chris Volk, had a demo of a song that he was calling ‘Ooh La La.’ I tried to get him to bring it into the band, but I couldn’t convince him. So instead, I just stole the intro of his song and put it onto a Christmas original song I was working on. That song was called ‘It Doesn’t Feel Like Christmas’ and was originally released on the LUZER Yule Rock EP. I was never happy with my vocal performance on that version, though. I was fighting a cold, but we had a deadline to get the recording done in time for a holiday show we had planned. “So in 2012, I re-recorded the song to release as a Timmy Sean single. As it turns out, history has repeated itself a bit. I had planned a completely different Christmas song to release this week, but again, the winter cold strikes again and I’m without much of a voice. The situation got me thinking back to those Yule Rock sessions, and reminded me that I always thought the song would work well ‘unplugged.’ So I laid some new acoustic guitars and keys in, remixed it from the ground up, and here is a brand new stripped down mix of ‘It Doesn’t Feel Like Christmas,’ written by yours truly and Mr. Chris Volk.” Beautiful. You can add the acoustic version of “It Doesn’t Feel Like Christmas” to your Songs of the Week collection by clicking here. 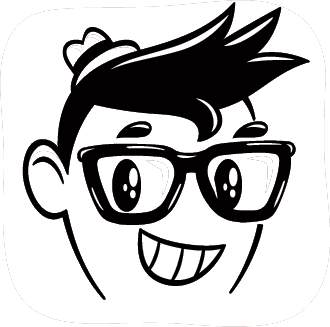 To get all of Timmy’s music, click here. With only two weeks left to go in Timmy Sean’s yearlong Songs of the Week project, we look back at the last four songs and, well, there’s at least a couple of tears in each of our eyes because we’d really like it if this would just go on and on. Yeah, that’s probably not going to happen, but wouldn’t it be nice? For Week 49, Timmy handled all of the instruments for a percussively poppy version of Brian Wilson’s “Merry Christmas, Baby” that sounds as if it were inspired by both Slade and Status Quo. Timmy says: “Not to be confused with the other ‘Merry Christmas Baby’ covered by Chuck Berry, Otis Redding, B.B. King, Elvis Presley, Bruce Springsteen…and on and on…THIS is the version written by Mr. Brian Wilson as featured on the 1964 classic Beach Boys Christmas album. Week 50’s spirited, reverent cover of John Lennon’s “Instant Karma,” is a live version recorded at New York City’s Bitter End on Lennon’s birthday last year. Timmy says: “To mark the tragic anniversary of losing John 35 years ago, I decided to release this Song of the Week a couple days early. “We recorded this at the legendary NYC club The Bitter End when Timmy Sean and the Celebrities played there last year on John Lennon’s birthday. I jumped back to the drums for this one and we brought up special guests Brian Mahoney and Jay Swanson from the Mahoney Brothers.” Brian Mahoney takes the lead vocal on this iconic song. There are but two Songs of the Week left for Timmy Sean to share with the world. Stay tuned! You can add Sir Video’s live version of “Bottle of Wine” to your Songs of the Week collection by clicking here. “Your Sorry” can be yours by clicking here. To get “Merry Christmas, Baby,” click here; for the live version of “Instant Karma,” click here. To get all of Timmy’s music, click here. This Week’s Song of the Week from Timmy Sean? Wear Protective Head Gear While Listening! For the 46th entry in his ongoing Songs of the Week project, Timmy Sean has stuffed Jellyfish’s classic “Bye, Bye, Bye” into an amped-up blender, set the dial to mondo puree, and lined his studio walls with protective sheets to catch his crazy clown-car-of-a-cover before it makes its way out into the world. For one thing, Timmy’s version of “Bye, Bye, Bye,” originally recorded under the name the Celebrities in 2007 for a Jellyfish tribute on Burning Sky Records, is about 30 seconds shorter than the original version. What’s more, the circus-y vibe of the original track is played up in this version, and a bit of Rudy Vallee-esque whimsy is now present. And, as you may (or may not) expect, there’s more than a smattering of Brian May guitar oomph running throughout the proceedings. 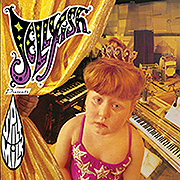 You can add Timmy Sean’s wild version of Jellyfish’s “Bye, Bye, Bye” to your Songs of the Week collection by clicking here. To get all of Timmy’s music, click here. As Timmy Sean’s explosive Songs of the Week project heads into its sunset days, we welcome this week’s entry, a powerful (what else?) cover of Huey Lewis and the News’ “The Power of Love,” delivered on stage by Timmy’s side band, Sir Video. Recorded on October 21, 2015 (Back to the Future Day!) at the Swing House in Los Angeles, “The Power of Love” is driven by a great horn chart, delivered with gusto by Jon Manness (on trumpet) and the Mahoney Brothers’ Brian Mahoney on saxophone. There were, in fact, nine musicians playing their hearts out during this live debut of Sir Video–let’s give them a spirited round of applause: Frankie Pedano (keyboards/vocals), Alex Schneiderman (guitar/vocals), Ramage Jacobs (guitar), Jon Reshard (bass), Punky Balfour (drums), Art Webb (keyboards), and the aforementioned Jon Manness on trumpet and Brian Mahoney on the sax. Oh, and there’s one more player… let’s see… right: Timmy Sean on vocals and guitar! There’s more to come in Timmy Sean’s Songs of the Week project; stay tuned right here for your weekly report on the latest tunes coming your way. To add “The Power of Love” to your collection, click here. To add any of the other Songs of the Week that you may have missed, click here. It’s hard to believe, believe it or not, that as of right now, Timmy Sean is 44 weeks into his immensely satisfying Songs of the Week project, which has brought fans new songs, demos, live tracks, previews of Timmy’s new band, Sir Video, and much more. This leaves only eight more songs to serve up to fans before the next musical challenges thrust Timmy into high gear for the melodic treats he’ll unveil in 2016. Owing to continuing medical issues, we’ve been silent on the Timmy Sean front of late, which is not to say we haven’t been listening to the new entries in the Songs of the Week project. We have. Now, though, it’s time to report on them and get up to date. Week 39’s Song of the Week is a rarity in the ongoing canon–it was written by Fred Maurer, a friend of Timmy’s buddy Joe Bucaro. Of “Bring Your Love,” Timmy says “I originally was going to cover it with a bit of [a] ‘That Thing You Do’ feel, but after Joe suggested giving it a bit of a ‘If Your Mother Has Her Way’ vibe from my Noisewater album, it became more of a mashup of Ben Folds and McCartney…funny how those two seem to always rear their whimsical heads into my songwriting.” This is one of our favorite Songs of the Week–certainly a McCartney/Folds mashup, heavy on the whimsy and adorned with a lovely Brian May-style guitar solo and a big showbiz ending, topped with a decidedly Beatle-esque treat. And all of this comes at you in 2:15. Amazing. For week 40, Timmy revived a song that originally came to light during the LUZER era. Timmy says: “We originally tracked this song for the Reset album, though when I realized my pronunciation of ‘Aishiteru’ (Japanese for love) was wrong, I abandoned the song.” Timmy adds that the song came up the next year, but he “decided to rework the melody and completely start from scratch on the lyrics. It became the song ‘Give Me a Sign,’ included on the Come On Mandy EP.” It’s a catchy, breezy number, with prominent electric piano and Timmy’s relatively soft vocal. 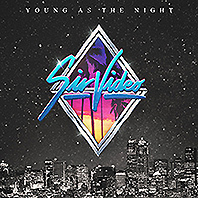 The first single from the new Sir Video EP, also the title track, “Young as the Night,” was the star attraction song for week 41. A funky dance number, driven by an electronic presence, a propulsive percussion track and an assured Michael Jackon Thriller-era influence–not to mention a catchy chorus, “Young as the Night” is a bit of a different specimen than we’re used to from Timmy, but no less huggable. This is another side of a great artist that is a big part of the Pure Pop Radio playlist. Week 42’s Song of the Week was featured in a full band version back on July 23; this time around, “This Magic,” a Sir Video number, is presented in an acoustic take, which puts added emphasis on the lovely melody and Timmy’s strong vocal. “This is one of the first songs that I wrote for the Sir Video project right after LUZER split in 2007,” Timmy says. “Though I love the full studio version, I do really like pulling away all of the frills on this one as I feel it really stands nicely on [its] own with just acoustic guitar and vocals.” We heartily agree. A Sir Video preview was the function of week 43’s Song of the Week. “Bottle of Wine” is from the Young as the Night EP. Another dance number with a punctuated, soulful rhythm guitar part, this song sounds like a second or third cousin to one of ELO’s more upbeat tunes. Of course, melody is king, but bring your dancing shoes! The latest Song of the Week is another Sir Video number from the EP; “Take It Off” is a rock and roll rumble of a tune, with another great melody and catchy chorus. That brings us up to date, and we aim to keep it that way from here on out. To add to your collection any of the songs talked about on this page, or any of the Songs of the Week that you may have missed, click here. This year’s Timmy Sean library will be amongst your most treasured music purchases in 2015. Timmy says: “We workshopped this tune a little bit back in 2006 under the name ‘Too Late,’ and even attempted to record it, but I was never really happy with how the final product was turning out. I always loved the chords and the chorus, but felt like the lyrics and arrangement needed a complete overhaul. So this week, I did just that. I built it from the ground up using all new lyrics and a new verse melody, and I’m finally really happy with it. “Fighting a bit of a cold this week, I was worried my voice would be a bit too torn up to sing, but I was determined to get this one done in time for Thursday. In fact, in the end, I think the hoarseness gave me just a hint of that great Don Henley raspiness, which actually fit the vibe of this tune pretty well. “Been So Down” is one of our favorite Songs of the Week thus far–a seventies-styled pop-rocker with an entrancing melody, the great chord structure Timmy makes note of, and a typically strong vocal, despite the artist’s cold. Plus, there’s a pair of contrasting mood guitar solos that take the song to another level entirely. It’s another top-notch tune that makes us smile and thank our good fortune for being a witness to such great music. 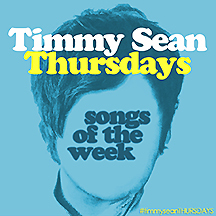 You can add Timmy Sean’s “Been So Down” to your Songs of the Week collection by clicking here. To get all of Timmy’s music, click here. If you’ve been following along with us this year and digging Timmy Sean’s Songs of the Week project, you’re well aware of Sir Video, the artist’s side band that’s about to make a big splash in the pop waters. “After years in the works, today I am announcing the debut show from my new band Sir Video. Since the project has a bit of a ‘retro-futuristic’ vibe to it, what better day to launch it than the DISTANT DAY IN THE FUTURE that Marty McFly travels to in Back to the Future: Part II…October 21, 2015. “We are renting out the premier Stage 1 at Swing House Studios in Los Angeles to throw a Back to the Future-themed party, which will also serve as a release show for our new digital EP, Young as the Night, which, combined with the tracks from last year’s Light Years EP, will be available as a limited edition CD as EP I / EP II. Timmy Sean’s acoustic version of the Sir Video tune “Take My Breath Away” is a free download; click here to add it to your collection. To get all of Timmy’s music, click here.